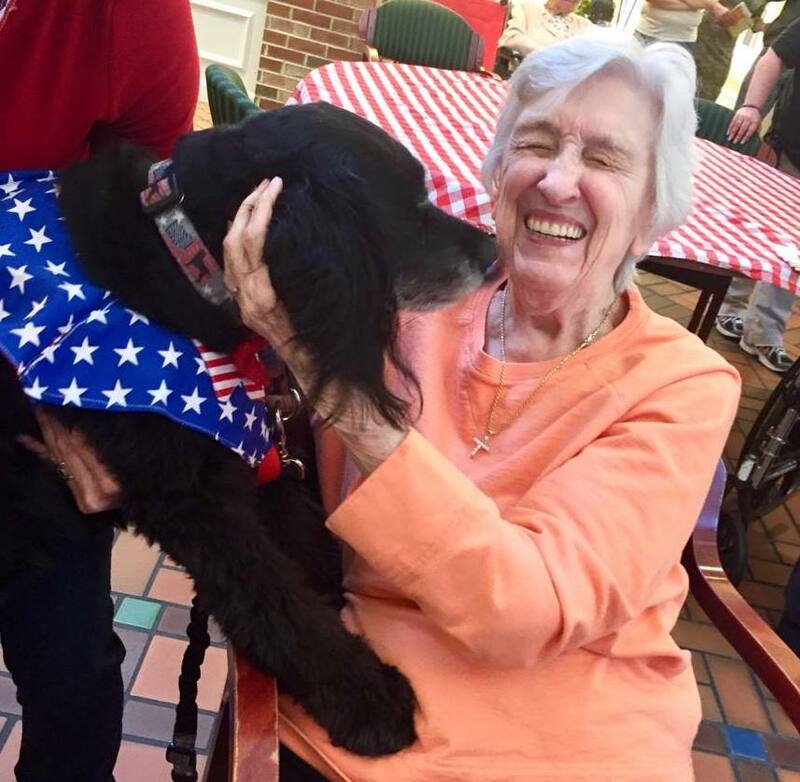 While therapy dogs are sometimes brought into nursing homes or hospitals, seniors who are independent enough to stay at home but are isolated, lonely, or otherwise immobilized are often left out of the picture. 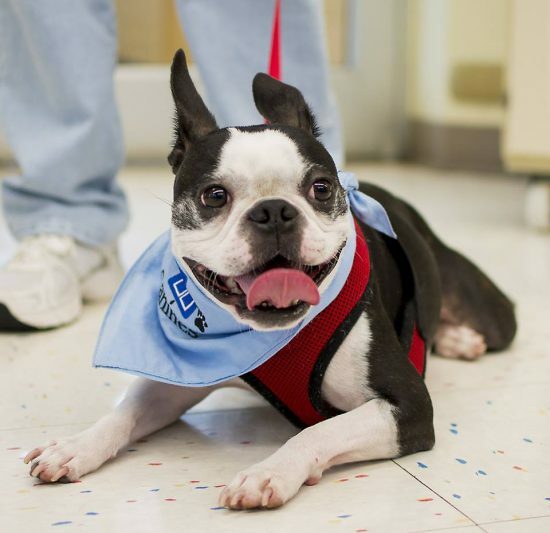 If it wasn’t for Lynette Whiteman, Founder and Director of Caregiver Canines, and the volunteers who help make that program possible, many of them still would be. Whiteman is also Executive Director of Caregiver Volunteers of Central Jersey, a program that assists homebound and disabled elderly with vital tasks so they can remain independent. 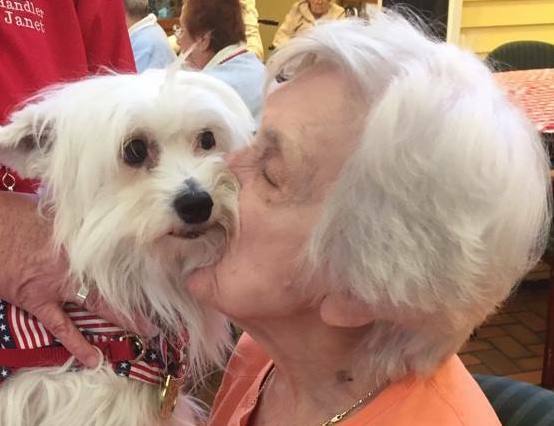 She noticed a pattern—when visiting with the elderly, even those struggling with depression, dementia, or physical impairments would light up as soon as she asked the, one question: did you ever have a dog? 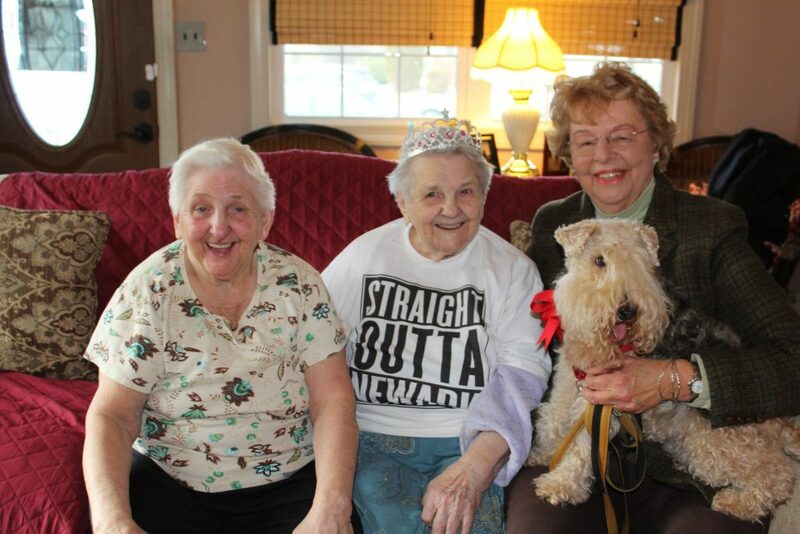 There’s no contesting the positive impact that petting, snuggling with, or looking forward to a visit from an adorable dog can have on the elderly. Unfortunately, many of them aren’t able to keep or have a pet for a number of reasons: finances, mobility, and other practicalities. She decided that shouldn’t stop them from being able to have regular visits to look forward to, bringing them not only happiness, but a number of the therapeutic benefits. Many of these dogs have been adopted from shelters, including Bandit, a seven-year-old rescue Collie whose resume includes visiting people in hospice. 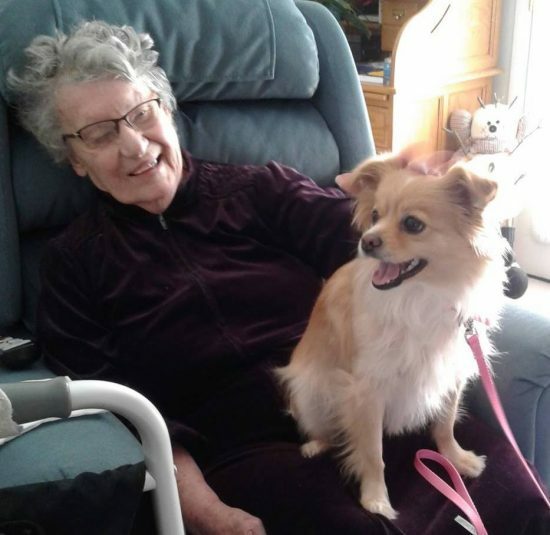 For the past few years, she and her owner, Lori, have paid regular visits to 101-year-old Miriam, who loves playing fetch with Bandit and talking about all of the animals she’s loved before him. John, a veteran of both the Korean and Vietnam wars, and his wife Mary Elizabeth find similar joy with their Caregiver Canine companion. John first called Caregiver Canines of Central New Jersey after he was forced to give up his driver’s license due to medical issues. Mary Elizabeth is now in a wheelchair and unable to get around. The two of them needed some extra companionship, so fellow veteran and volunteer Frank brings Earle, his pet therapy dog to visit, every week. “Mary Elizabeth really looks forward to her time with Earle, he sits at her feet and she pets him, calling him her ‘sweet baby,’” John said. According to the Journal of Community Health Nursing, 28% of non-institutionalized older people live alone, and participation in a visiting pet therapy program had an irrefutably positive impact not only on social health and wellness, but cardiovascular health as well. The “older population” in the U.S. has also increased from 6.3 million since 2000 to 41.4 million in 2011— today, one in eight Americans are over the age of 65. Currently, Caregiver Canines is operating in New Jersey with chapters in Pennsylvania, Ohio, North Carolina and Texas. This was made possible by a strategic partnership with the National Volunteer Caregiving Network, who is promoting the program and training materials through their nationwide network of nonprofit sites. “Since we began in 2009, I’ve seen firsthand the impact these visits have on not only the elderly person being visited, but the volunteers as well,” Whiteman said. 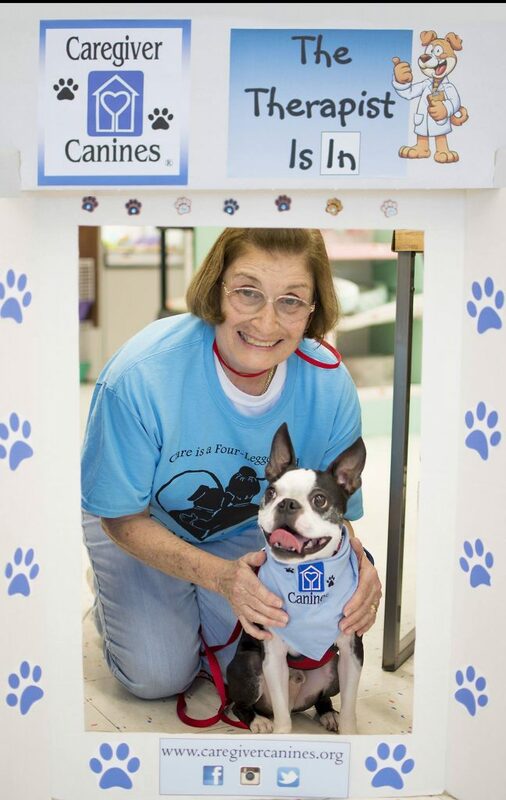 To check out Caregiver Canines’ GozAround Page and Volunteer Opps, Click Here. 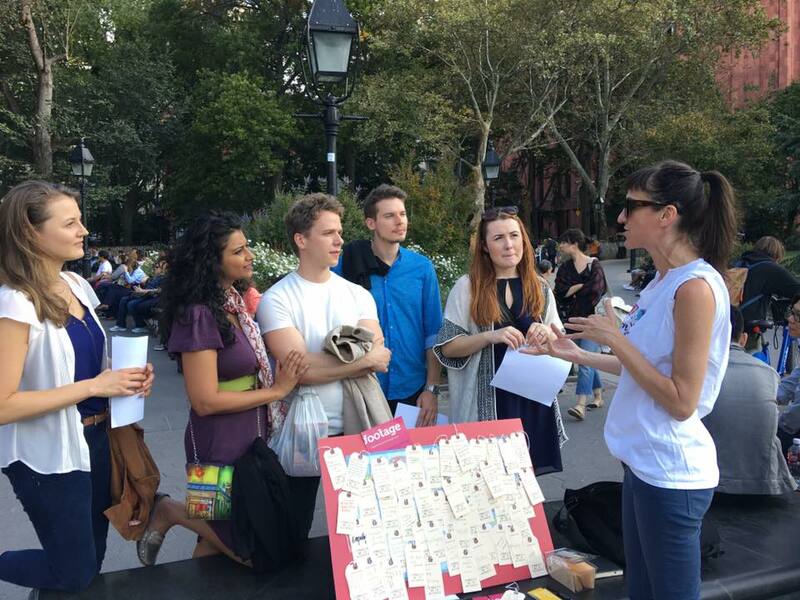 7 Qualities of Being a Great Volunteer!